April 8th is a non-instructional day for students in the Cowichan Valley School District. 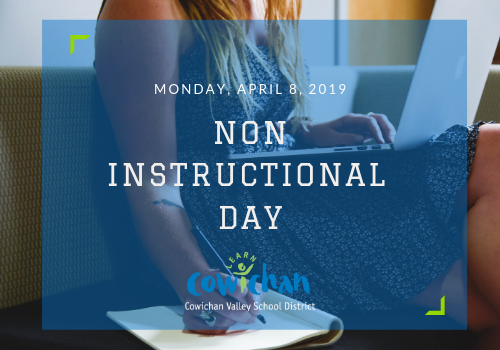 Monday, April 8, 2019 is a non-instructional day in the Cowichan Valley School District. No classes are in session and buses will not be running. The regular schedule will resume on Tuesday, April 9, 2019 .